Every head bowed. Every eye closed. Anyone that grew up Pentecostal knows these six words. At the conclusion of every sermon, the preacher gives the “altar call” and sinners and backsliders are asked to raise their hands to come to Christ. I’ve given a thousand of these calls. But here’s a true confession. I pretended someone raised their hand. I lied. And it revealed a dark, sinister side of my flagging character in that day — MY PRIDE AND YEARNING TO BE BETTER THAN THE REST. I was too vain to admit that my entire sermon had not produced one response in the congregation. (as though that was how God measured success) So I took things into my own hands. If God couldn’t produce the results I wanted, I would manufacture them. Looking back, this was just one of the many ways my pride showed up in my life. I treated people poorly. I saw myself as better than others. It was all about me. Oh, I knew how to "humble-brag" and all the humility code phrases -- "It's all the Lord"... "To God be the glory"... -- but beneath that shallow surface was a heart with Blaine on the throne. I believe pride is the most reprehensible of all sins. And I believe humility is the most distinguishable mark of a Christ follower. Our culture has become a potting shed for pride. We are producing it a record levels. Celebrities rolling out their reality shows, celebrating their dysfunction, money and fame. Politicians haughtily gloating over the demise of their enemies. Sociopaths with no regret for the most wicked of crimes. Social media and it’s endless scroll of selfies and show-boats. And let’s be honest. The table isn’t always level in the church either. 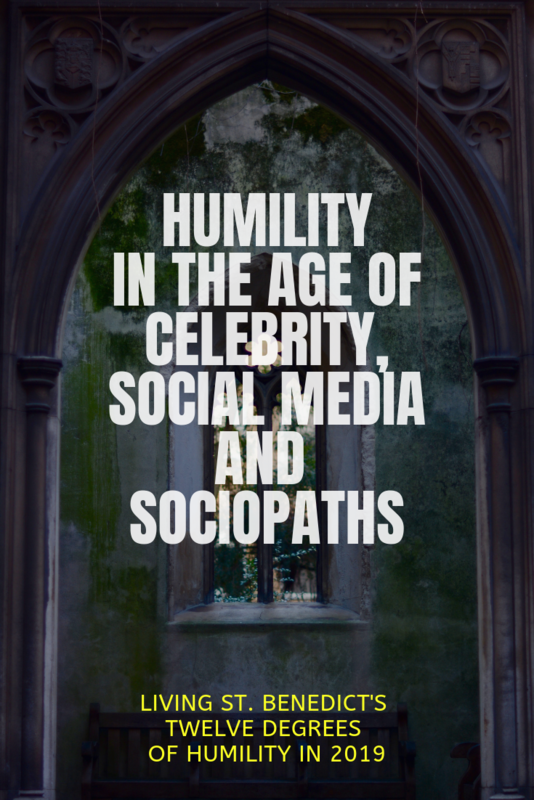 It is often tilted towards fame, money and power. Years ago, the Lord had me ponder this one scripture for two full years. The prophet Micah asked a question. This one word from God was a sharp, probing, re-shaping, transfiguring, and at times painful — instrument of surgery in my heart. Because I didn’t always act justly. I often acted in my own best interest. And I didn’t always love mercy. I frequently preferred to hand down judgement. And I didn’t always walk humbly. My path was often littered with the inglorious glitter of my own publicity. But the Lord carved, chopped and chiseled His way into my heart. And as a recovering narcissist -- here's what I've discovered. A joyful ease in life. Genuine love for the other. An ability to see significance in suffering. I am more convinced than ever that humility is the first step in conquering addiction, healing a marriage, building a beautiful life or discovering a calling. And dear friend, it is not thinking less of you. Because you are beautifully made in the image of God. It is simply thinking more of the other. Your slow-driver in the left lane of traffic. It’s called The Rule of St. Benedict - Twelve Degrees of Humility. I’ve summed up Benedict's guide in short form below. Trust me, I am a work in progress on all of these — there are construction signs everywhere. But I believe God is slowly having His way in my life. Not my will. But thy will be done Lord. Older PostGOD, WHY DO I KEEP DOING THIS?